My midnight madness pages, up too late, couldn’t sleep, so what’s a girl to do but play with her new pens-lol! No writing on this page yet, just doodles. Now Pam, just doodle doesn’t describe this, I agree with Sherry it’s fabulous art!!! cool! I must get a hold of some of these pens! 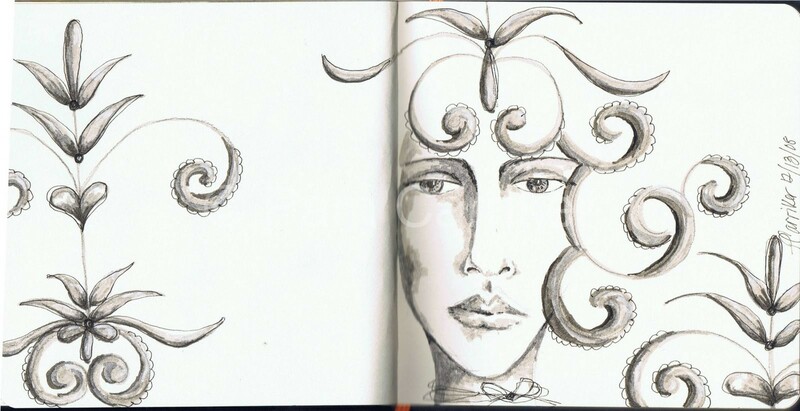 Your “just doodles” are fabulous art!